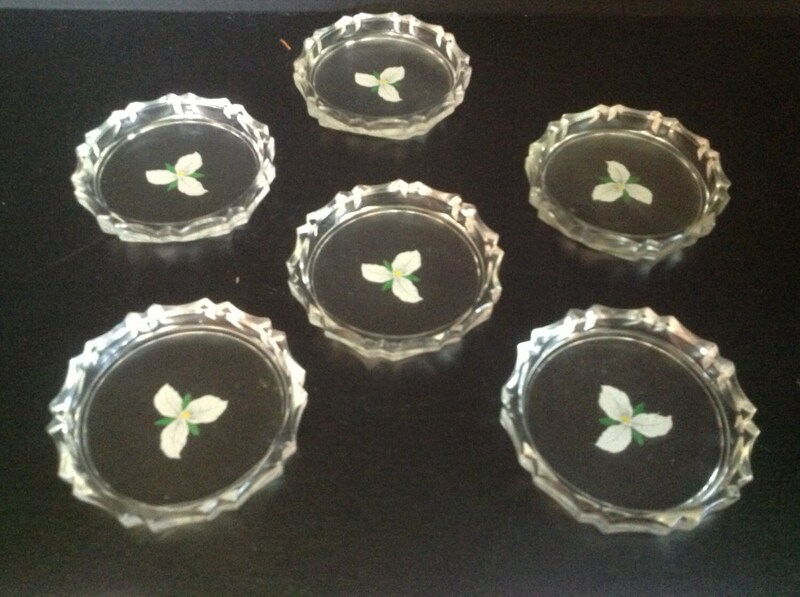 Offered is a set of 6 (I have two sets available) clear cut glass coasters. They are simply beautiful. The edges have a scalloped cut. 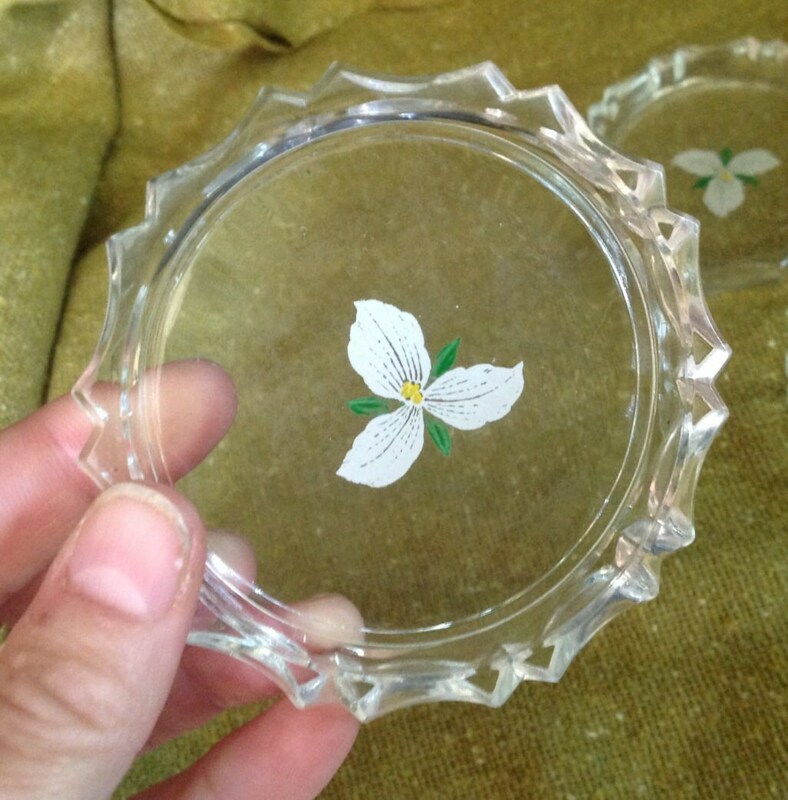 The base is a simple smooth design with an orchid decal applied to the bottom. Not to heavy or overdone, but very elegant (and unusual). These are probably from the 50's - maybe older. 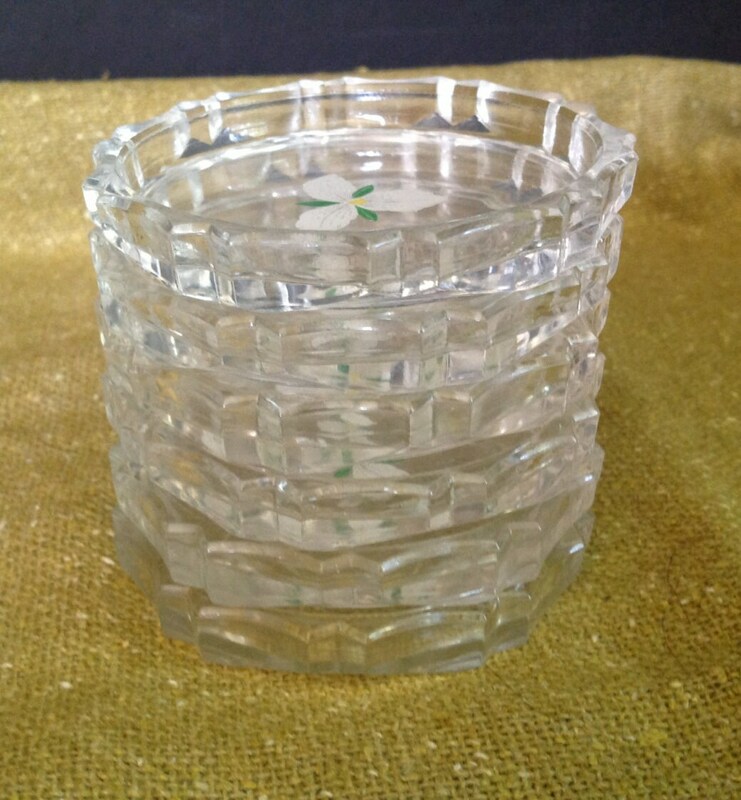 Here's a great opportunity to have a dozen coasters - enough for everyone! They are in excellent condition. 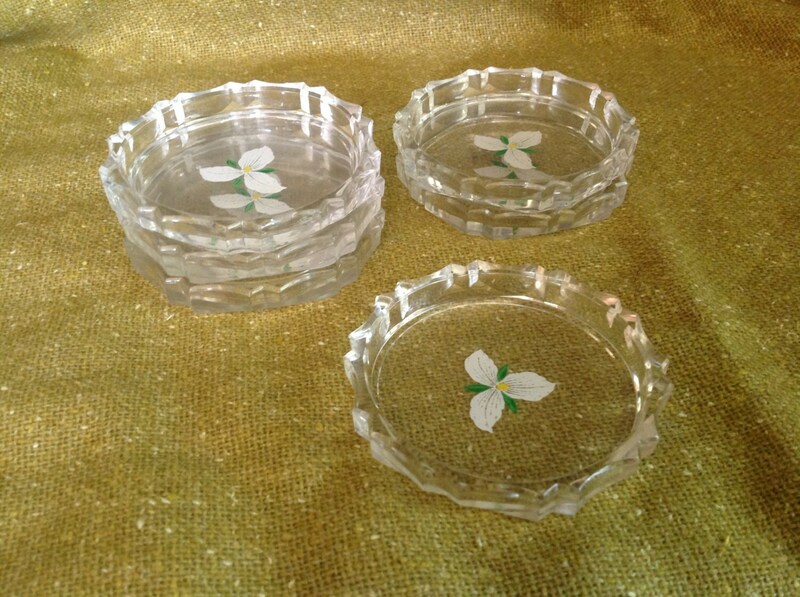 The glass is scratch free and clear, and the orchids are bright and beautiful with no wear. These don't look to have been used much. I can combine shipping on two sets for a total shipping charge of $13.00. I do reimburse shipping overages of $1.00 or more.